These stocks are highly risky due to various reasons and fraudulent measures to sell the stock to the people are one of the risk factors. Sometimes a few market makers control the stock and thus adopt the fraudulent activities such s spam and phone calls. Role of Brokers or Market Makers: In recent past the fraudulent activities of some of the brokers or market makers has been noticed by people and reported to the Securities and Exchange Commission of United States. If a company offers a few market makers (one or two) to sell or buy the penny stocks of the company. These market makers therefore hype about the company and mislead the investor for buying. As all the stocks of the company will be in the hands of a bunch of people, these people control the stock prices. Many times the company pay for some dealers or brokers for selling the stocks and for getting more money, the broker or dealer adopts fraudulent methods for selling the stocks. The dealer or broker will generally contact you over phone and hype about the stocks. Sometimes the dealer or broker can use email to convince the people. The poor people and people who do not have resources to verify the particulars of such emails or such phone calls easily get victims. Sometimes the dealer or broker may offer free stocks and after manipulating the prices can ask for more investment in a specific penny stocks. This may be one of the techniques to lure the people but you should avoid taking free penny stocks. Sometimes free pamphlets or free newsletters can be offered to the people and these free newsletters should also be avoided these newsletter may contain some misleading information. Some brokers may ask you to make investment quickly and you should avoid quick decisions, as in most of the cases this technique is part of frauds. You should go through the prospectus of the company and see all the particulars including risk factors very carefully. Penny stocks listed at pink sheets are highly risky and you should ensure about these stocks before investing in them. You should inquire about your broker from the state office of the Securities and Exchange Commission before dealing with the broker. Summary: By taking some of the common and simple steps, you can be safe while investing in penny stocks. Do inquire about your broker from other investors as well as from the state office of the Securities and Exchange Commission. 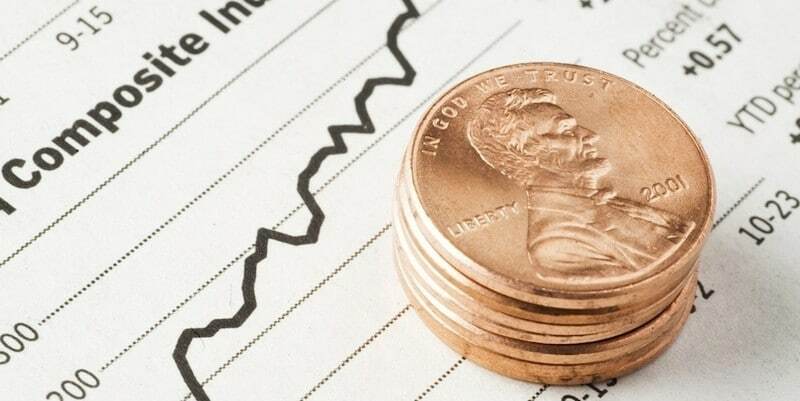 This is a good investing tips for those that want to invest in penny stock. It is good not to fall for the manipulation of a dealer or fraudulent activities of a penny stocks broker. One thing I know About trading with penny stock is you have to be very informed about the market. You always have to be ahead of your competitors at all times. Its good to be aware the avenues fraudsters use to defraud people trading with penny stock. This is an amazing stock education here. If there's a way to get a free stock course about the very activities of penny stock fraudsters then it will be helpful. I know they could be lot of scammers in there. These are key investing tips for any stock trader who want to succeed in this market. Brokers can manipulate you into trading with them if you are not informed. Penny stocks indeed have their associated risks. However there are measures that traders can take to prevent getting scammed. Additionally, taking time and improving your stock education to understand the rules can halp one be safe. Ignorance is a major cause of some of these risks. Another risk is that someone may give you misleading investing tips. As such it's always best to verify any tips you get. It's very important to vet the stock broker you want to work with when getting into penny stocks. The wrong one can always spell disaster. Thanks a lot for these helpful and vital investing tips. These should help me stay safe from fraudsters in the penny stock market. Great tips, just be careful when investing in these types of stock as they can easily be manipulated due to their low price.